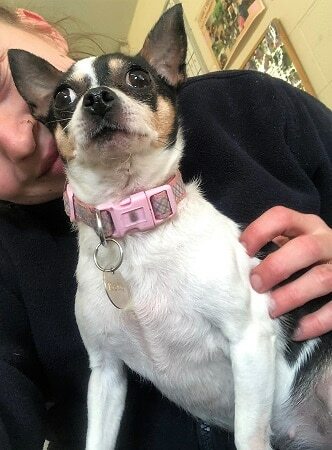 Foxy is such a real cutie with a typical Chihuahua diva character who is looking for a pet-free home with the help of Leicester Animal Aid. 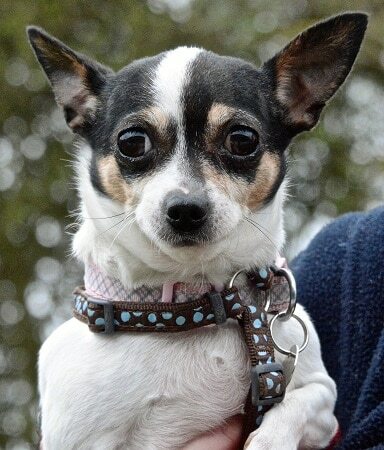 Foxy is approximately 7 years old and she’s a Chihuahua/Jack Russell Cross. She’s a little lady who knows her own mind and is not afraid to stand her ground. Foxy has such an adorable character with a large personality once she knows you. Foxy may be a bit of a diva, but there is nothing wrong with liking a bit of limelight and being pampered with those neck and eye massages. She prefers that her paws stay on the ground and being kept on the lead as you may not see her as she shoots off and her hearing can be a little selective. Foxy is protective when it comes to her “stuff”, so she wants to live as the only pet in the home and socialise out of the home. She is fine to be around experienced, older teenage children who will give her time and space without trying to cuddle her all the time because she is so cute. Please mention that you saw Foxy on the Oldies Club website.